There's been an amazon placeholder for Chronicles 2 since the first book came out. The release date always get pushed back. There's absolutely zero chance of chronicles 2 being released this year, or probably ever. I think it will come - remember that Chronicles were scrambled from ’chronicles’ Dylan had written as liner notes for sacd rereleases of some of his original albums. The timing for a sequel couldn’t be better - 74/75 boxes and Scorsese in the wings. You ask me, I hope for " Chronicles 2 ", a new album, this coming box set with a lot of CDs ( and a blu ray release of the Scorsese documentary with bonus material ) and at the end of the year Bootleg Series Vol. XV. I know this thread until any new info surfaces, but didnt someone mention preliminary art work being leaked or was that a joke? Whether this turns out to be fact or fiction that sums up my thoughts. 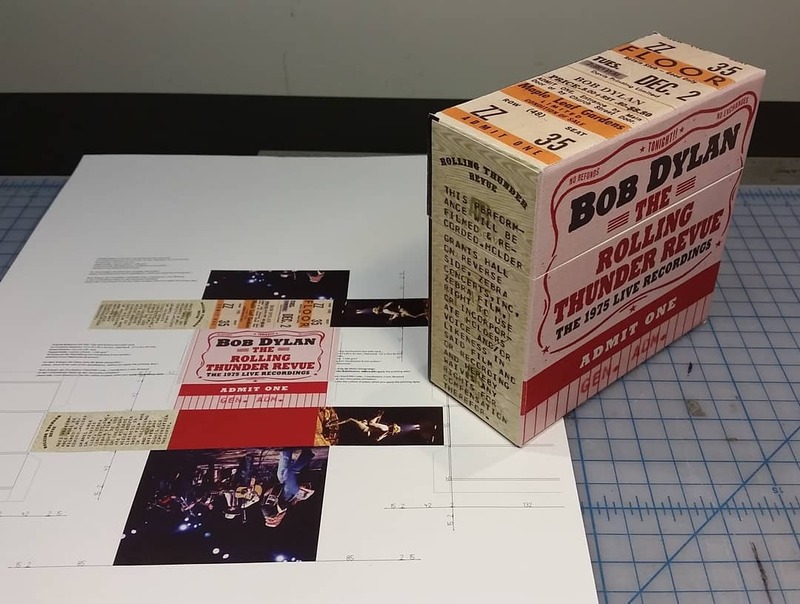 Don't need glossy books and all the other add ons - just a simple box and sleeves with the track listings and artists performing at each show. Can it also be minus the sermons? Can it also be minus the sermons? Like? Cutting out calls to Larry, Leonard, Mama or Ratso etc? We are sorry for any inconvenience that the delay may have caused. I can live with that, is it May or is it June it´s okay for me. We then get the details for the box set not this month I guess. Surprised the cover photo/artwork hasn’t slipped out yet. Apologies if this has been hashed over elsewhere. Post subject: Re: 1975 Box? Looks like more than 14 discs if each gatefold shown has 2cds. Last edited by saniette on Sun March 31st, 2019, 18:02 GMT, edited 1 time in total. box, bit more of a luxurious issue, booklet included. Juchuh, a first picture !!! Can´t wait to get more details about the box and the content !!! Not sure. I think sometimes in this type of promo pic they put the booklets closed so you can see the cover, and then the same ones open so you can get a taste of what´s inside. Also, checking the width of the box, it doesn´t look like there´s room for many CDs there. Just give us the freaking pre-order! ^ that’s just about it! Hot damn. the ticket on the box top is Toronto December 2nd, I was there, also in the gold (floor) seats! Which hopefully means that that this show will be represented in glorious SBD quality.